We are delighted to welcome you to Kouros Hotel. Since 2001, our hotel is known as one of the most stylish and elegant four star hotels in Greece. 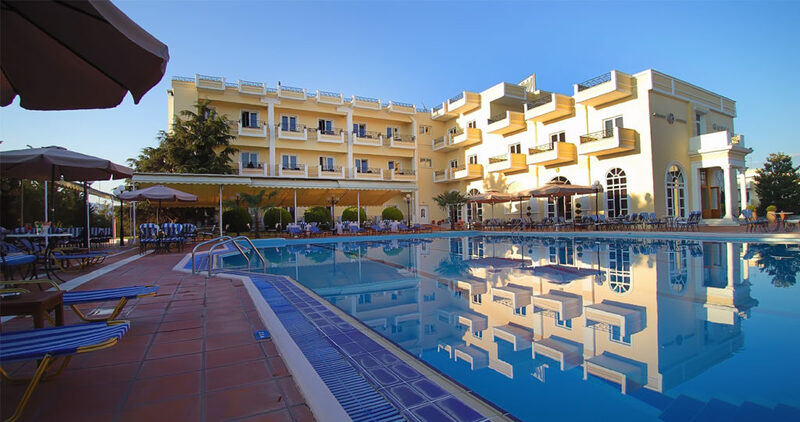 Kouros Hotel is a magnificent hotel, located in the city of Drama. Our hotel is an ideal destination for both leisure and business travelers. This modern hotel has 117 rooms and suites, 3 conference rooms, a restaurant, an atmospheric bar, a pool bar and other facilities and services that ensure an unforgettable stay. Neoclassical decoration, impeccable service and personal care in every detail, a sophisticated business atmosphere and timeless elegance. The Kouros Hotel was created in Drama of history and culture, metropolis and eternal economic center of the wider Balkan region. At Kouros Hotel the features and creative contrasts of the city of Drama are interwoven. The cosmopolitan aura and the precious sense of tranquility, traditional warm hospitality and aristocratic atmosphere make up a unique canvas of experience that is worth living. Kouros Hotel combines neoclassical elegance with comfort, timeless luxury with functionality, refinement with high quality service. At the heart of Kouros Hotel’s philosophy is the respect for the environment, the local community and the culture of the city. Respect for people, employees, associates and visitors. The mission of Kouros Hotel is the provision of high quality hotel services in the field of conference tourism and leisure tourism, in an environment of high aesthetics and historical symbolism, similar to Drama. Our aim is the quality satisfaction of the visitor at all levels of his stay and hospitality. Provision of breakfast or food in pack upon request.